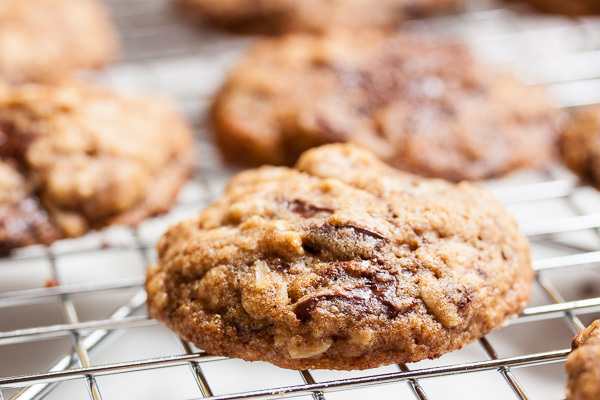 Chocolate Chunk Oatmeal Cookies | wanna come with? 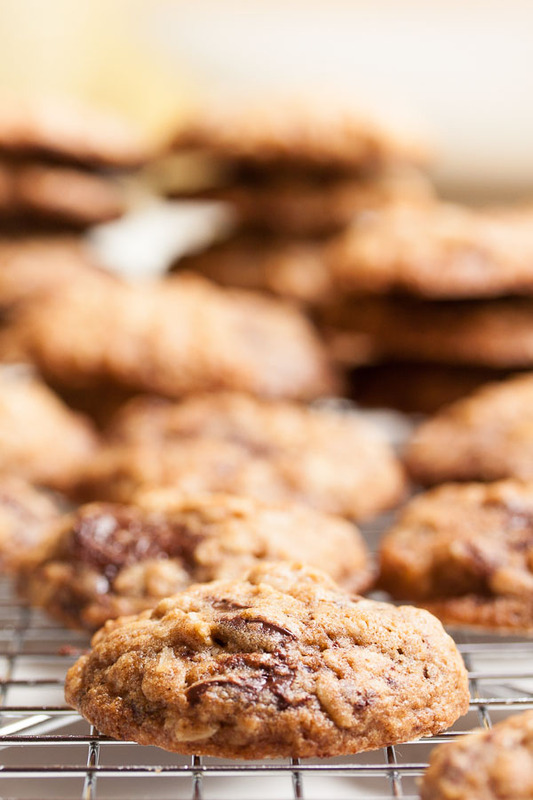 Is there anyone who doesn’t like oatmeal cookies? They’re such a classic flavour. 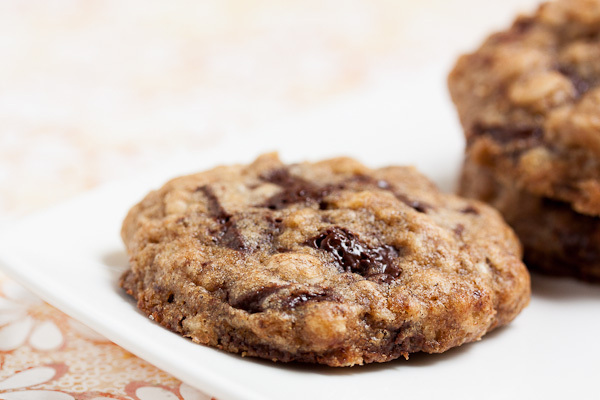 Generally when I think of oatmeal cookies, I think oatmeal-raisin. Which is okay, but not really what I was in the mood for this week. I really wanted to make the white chocolate & cherry variation of this recipe, but I didn’t have any oranges. Oh well. Another time. I had a few issues with these cookies, but totally not the fault of the recipe. It suddenly became summer in Vancouver, and it was really warm in my kitchen this weekend. 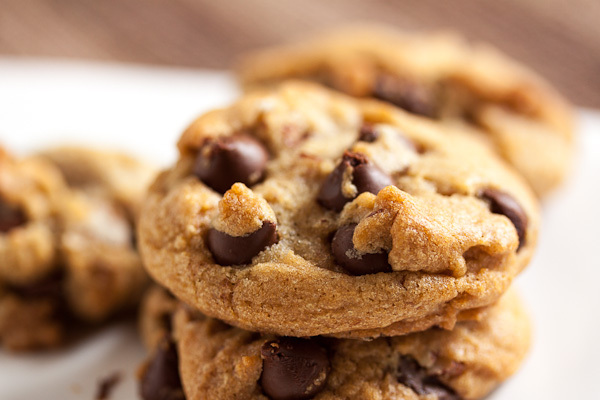 As a result, the butter was too warm, the dough was too soft, and the cookies spread more than they should have. I refrigerated the dough before baking, but it was still soft. I think my chocolate to cookie dough ratio was a bit off too. Some of the cookies just didn’t have enough dough to hold their shape and ended up really flat and crispy – this is probably because I made the cookies smaller than the recipe called for. I accept full blame for this (although they still taste great, so do we really need to point fingers?). Will I make this recipe again? Absolutely. The flavour and texture are fantastic. 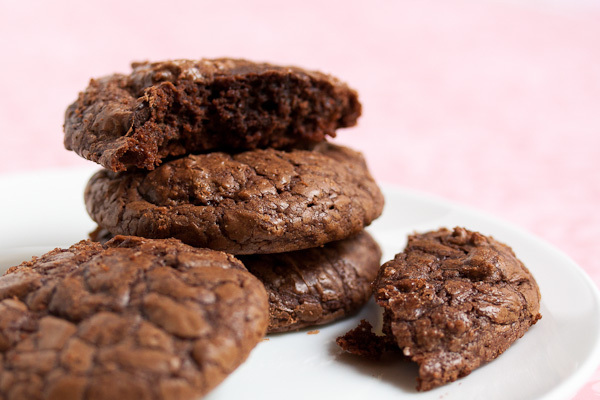 They’re crispy around the edges and chewy in the middle. There are several different variations in the cookbook that I’m looking forward to experimenting with, especially the aforementioned white chocolate & cherry and also milk chocolate & orange. This is the first recipe I’ve tried from this book and it’s been a good introduction. The way it’s organized is interesting – there are base recipes and several variations for each. Which is great, as long as the initial recipes are strong. And based on this one? It’s looking really good. Adapted from Milk & Cookies by Tina Casaceli. The recipe says it makes about 2 dozen cookies, but I ended up with around 80 when I rolled them about 1" diameter. Whisk together the flour, cinnamon, baking soda and salt. At this point, I added the oats as well and whisked to combine. In the bowl of a stand mixer with the paddle attachment, beat the butter and sugars together on medium speed until light and fluffy, about 4 minutes. Scrape down the sides of the bowl and add the eggs, one at a time, beating well after each. Add the vanilla and beat again to incorporate. Turn the mixer down to low and add the dry ingredients, mixing until just barely combined, but still streaked with flour. Remove from the mixer and finish kneading gently by hand. 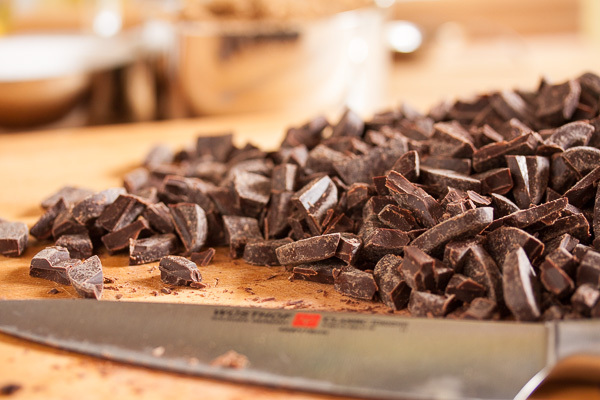 Mix in the chocolate chunks by hand as well. Form the dough into small balls and place about 2" apart on a baking sheet – these cookies will spread out as they bake. Press the balls down slightly with the palm of your hand. Bake for about 15 minutes, rotating the pan halfway through. 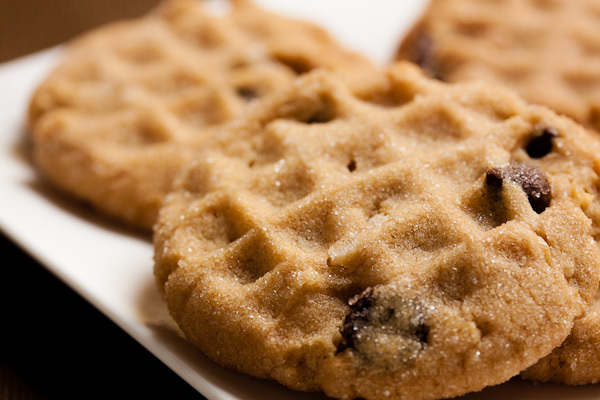 Allow to cool on a wire rack for a couple minutes before removing the cookies from the baking sheet.